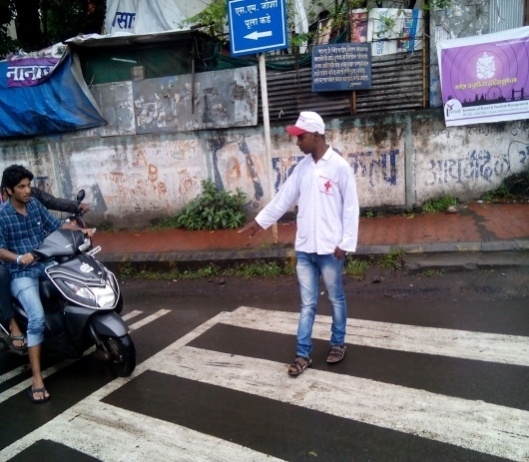 Indian Red Cross Society, Pune District Branch has been actively working for H.I.V. and Youth Peer Education Proramme(YPEP) since 2003 in the Pune Region. Youth Peer Education Project is actively working in 20 schools and 20 colleges in the Pune Region. The YPEP chiefly tries to scientifically educate the youth about AIDS and HIV and makes them aware of the causes and remedies of AIDS. Our college is actively working in collaboration with Indian Red Cross Society & Youth Red cross since 2011 and following activities were conducted in the last five years. On the occasion World AIDS Day, on 1st December 2011, 20 students of our college participated in the workshop held at Garware college, Pune. Six students participated in the HIV and AIDS Training Programme Conducted by Indian Red Cross Society & Youth Red cross at its Head Office in Pune from 13th to 17th December 2011. 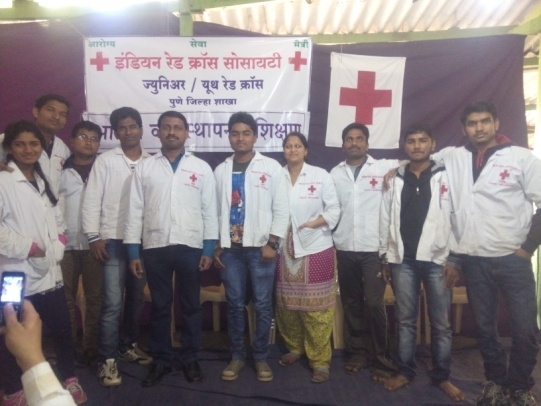 Six students participated in the First Aid and Disaster Management Camp held by Indian Red Cross Society & Youth Red cross at Surya Shibir, Khanapur. Ten students participated in the Rally organized by Indian Red Cross Society & Youth Red cross on Cancer Day on 5th February 2012. Six students participated in the Free Checkup Camp of HIV test conducted by Aundh Chest Hospital. 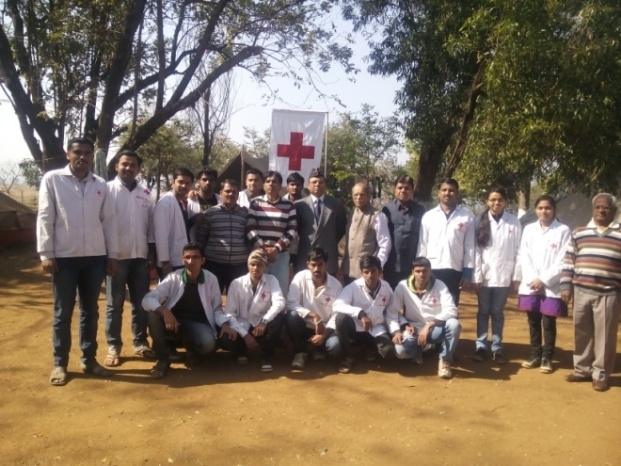 An Inter State Youth Red Cross Training Camp was organized at Kurukshetra, Harayana from 10th to 16th December, 2012. The performance of our college team, representing Maharashtara was wonderfully outstanding. Vishal Mundada, our student volunteer, was awarded the National Best Youth, Ankush Patil and his team bagged the second prize in group singing, Om Katte and Vishal Mundada came victorious in the Quiz Contest on First Aid and the entire team was applauded for the rangoli drawn on the valedictory function of the camp. Two counselors participated in the Two Days Counselors’ Training Program conducted by Pune District Branch of IRCS and International Committee of the Red Cross from 3rd to 6th December, 2013. A Two Days Disaster Management Training Course was Conducted in Modern College of Arts, Science and Commerce, Ganeshkhind, Pune in which Indian Red Cross Society’s experts Guided and trained our Red Cross Volunteers and college students on Disaster Management, First Aid Training, Rescue Operations etc. Ten YRC Volunteers participated as well as worked as volunteers in the Two Days Disaster Management Training Camp held at Khanapur by IRCS, Pune District Branch. 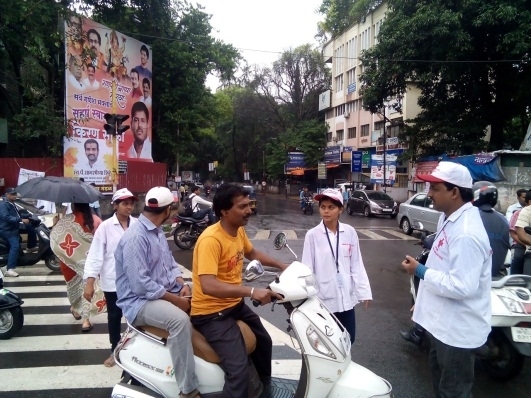 Four volunteers participated in Fund Raising on 5th January 2014, for thalassemia patients regularly treated in the IRCS Hospital of Pune District Branch. 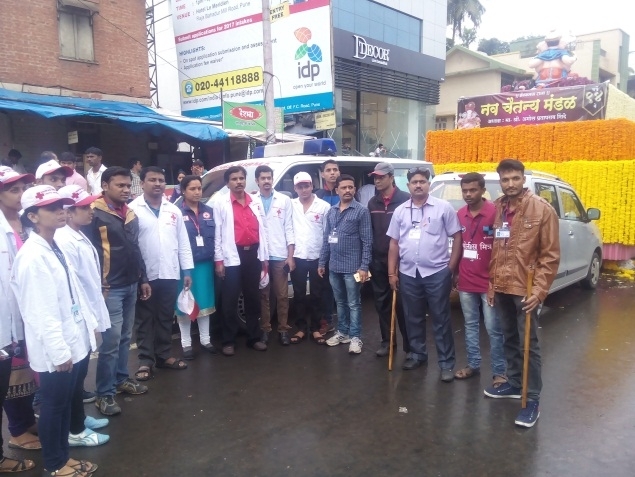 Seven YRC volunteers participated and volunteered in the Free Health Checkup for the Varkaris assembled in Pune on their way to Pandharpur for the holy Ashadhi Ekadashi. One counselor participated in the counselor’s Training Programme on 11th October, 2015. Nine volunteers and one counselor participated in the Vitiligo Awareness Marathon organized by Shweta Association on Sunday, 31st January, 2016. All volunteers and one counselor were given certificates and medals. 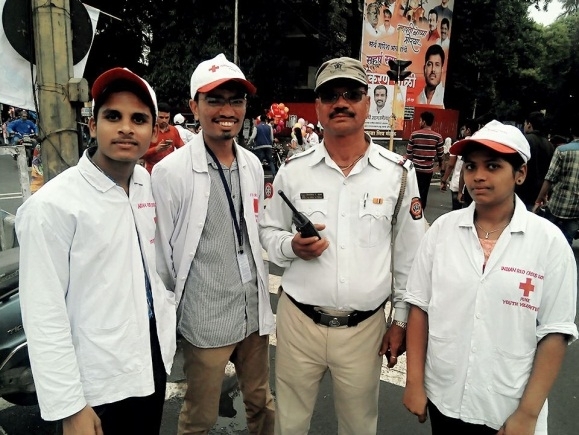 Fourteen students assissted Pune Police during the Ganpati Fesitval on 15th September 2016.The students enthusiastically helped to control the crowd visiting the Ganpati Pandals near Abasaheb Garware College, Karve Road, Pune.